The following Yosemite books are available online, with the complete text and usually the original illustrations. This list is arranged by title. Also available by author. “Abrams Diary” (1947). Describes William Abrams’ discovery of Yosemite Valley in October 1849 by Weldon F. Heald. Discovery of the Yosemite and the Indian War of 1851, Which Led to That Event (1892) by Lafayette Houghton Bunnell, M.D. 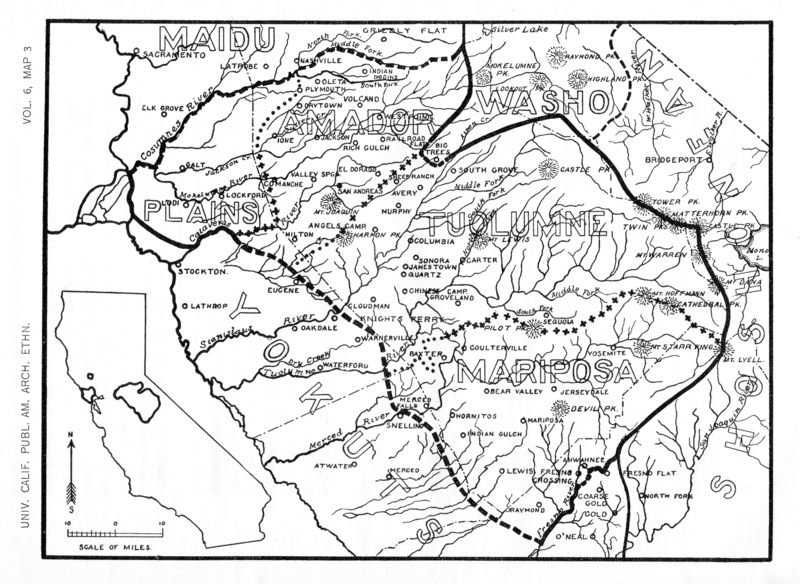 “Distribution and Classification of the Mewan [Miwok] Stock of California,” American Anthropologist 9(2):338-357 (April/June 1907) [PDF] Includes a map. The Geologic Story of Yosemite National Park by Dr. N. King Huber (1987). Authorative description of Yosemite geology. 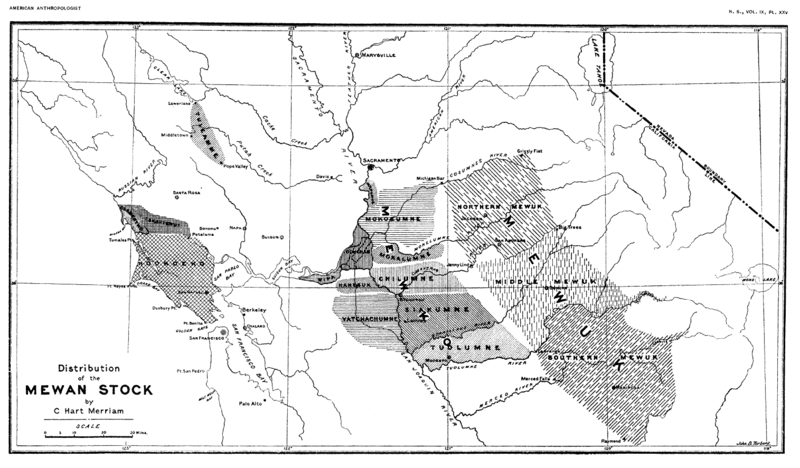 “The Geography and Dialects of the Miwok Indians,” University of California Publications in American Archaeology and Ethnology 6(2):333-368 (February 1908) [PDF] by S. A. Barrett Includes a map. The Last Survivor (1932) by Mrs. H. J. (Rose Schuster) Taylor. Biographical sketch of Maria Lebrado “To-tu-ya” (ca. 1840-1931), granddaughter of Tenaya, chief of the Yosemite Indians. “Names and Meanings for Yosemite Valley,” YNN 47(3):42-44 (1978) by Craig Bates. Discussion about the origin of the Ahwahneechee words Yosemite and Ahwahnee. One Hundred Years in Yosemite; The Story of a Great Park and Its Friends 2d. ed. (1947), by Carl Parcher Russell. “A Plea for Yosemite,” Yosemite Nature Notes (February 1927) from a manuscript written c. 1907 by Galen Clark. Reprinted as Early Days in Yosemite (1964). Reptiles and Amphibians of Yosemite National Park (1946) by M. V. Walker. Restore Hetch Hetchy volume 1 - present (2002-). Newsletter. Sam Ward in the Gold Rush (1861, 1949) by Samuel Ward. Only the chapter relating to events after the Mariposa Indian War are reproduced online. Scenes of Wonder and Curiosity in California (1862). by James M. Hutchings. First travel guide for Yosemite Valley. The Trees of Yosemite; a Popular Account . Revised ed. (1948) by Mary Curry Tresidder. Linoleum prints by Della Taylor Hoss. Yosemite Sentinel (1941-). Published by Yosemite Park and Curry Company. Yosemite Wildflower Trails (1975) by Dana C. Morgenson. Based on notes by Mary Curry Tressider. The Yosemite Book: a description of the Yosemite Valley and the adjacent region of the Sierra Nevada, and of the big trees of California (1869) by Josiah Dwight Whitney, Jr.
Yosemite Indian Petition to the United States (circa 1891) by Anonymous. Yosemite Indians and Other Sketches (1936) by Mrs. H. J. (Rose Schuster) Taylor. Biographical sketches of early pioneers and artists, and Yosemite Indians. Copyright © 2004-2012 Dan Anderson. All rights reserved.